Alpha Femme | Sometimes a Girl Has to Take Charge! Sometimes a Girl Has to Take Charge! So it’s a new year!!! Well we’re almost a whole week into 2012. There’s just something about January 1st that makes us analyze the past 365 days of our lives. 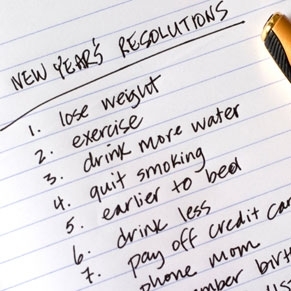 Even those of us who curse resolutions correlate the start of the new year as the start of something new in our lives. You may call these “new starts” goals, aspiratons, life changes, etc…but they are still resolutions. Whether you make make a list, start a blog, or create a vision board…they are still resolutions. And you know what? There is nothing wrong with that. We need to take some time and look back and reflect on what has passed in order to redirect our plan for the future. Without focused goals how will be ever become the people we want to and are destined to be? We wouldn’t! So in the spirit of starting anew we’re going to share with you some of the best “improve your life” articles, stories and challenges to inspire you to change something big or small this year. Almost all of us make a goal to lose weight or to become more fit. The problem is sticking with it, well Ramon “The Trainer” has a solution for you. His company MyFormula360 has issued a 66 day exercise challenge. Formula66 is a challenge to excerise 30minutes for 66 consecutive days in order to create a healthy habit of staying active. To join follow MyFormula360 on Facebook and Twitter. Sometimes we can be overwhelmed by grandiose goals for a new year. We can get so overwhelmed by everything we plan, need or want to do that it all falls apart. So take this approach and spread out your goals weekly over the entire year. Here’s a list of 52 Weekly Resolutions . Use these, add your own or come up with your own set of 52 goals. Check out Dr. Oz’s 28 Day Plan to Renew Your Body, Mind and Soul it includes great tips for eating health, getting active and renewing your mind with 28 practical ways. Did we miss anything? Any other obstacles you desire to tackle this year? Have you stumbled upon any interesting articles or ? Any particle plan or goals you have set for yourself? Let us know Femme Bots…we want to hear! I was reading Necole Bitchie and saw an article about the Isabel Marant High Top Sneaker that has been making cameos on various celebrities. Of course I love them, unfortunately they are not in my budget. Any who I began thinking….we always do posts on shoes and very seldom do they include sneakers. Well since i LOVE sneakers it’s time for a post that focus solely on sneakers. Here you go.